This is a very good question, so thank you for asking it. BIAZA doesn't appear to have an accreditation scheme. It has a section on its website regarding learning for schools providing resources for both teachers and students, but this will be of limited value to someone seeking to forge a career in zoo-keeping. However it also has a section entitled "Careers in Zoos and Aquariums", where it states relevant courses are available at colleges, universities and through other learning providers. ADL comes under the umbrella of a learning provider delivering relevant zoo career related programs. Jobs in zoo-keeping are not easy to get and you will face stiff competition when applying for positions. Therefore, you need to do everything you can to increase your chances of standing out from other applicants, both on your CV and at interview stage. BIAZA states that although qualifications are helpful, you should also gain practical hand-on experience and acquire the necessary transferable skills zoos and aquariums will require you to have. 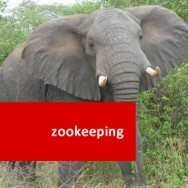 The inference is that your chances of getting into zoo-keeping are slimmer with a qualification alone, your chances of getting into zoo-keeping will be slimmer. So, attending full-time college or paying costly university fees to get a zoo-keeping qualification is not necessarily going to be more successful than completing our reasonably priced Diploma at your own pace and in your own time. 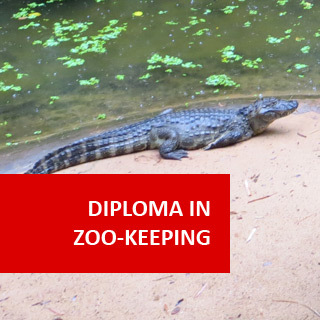 In fact, our Zoo Keeping diploma is an ideal course to take because it will not only teach you what zoo-keeping entails, but also has a practical set task element in each and every lesson, to help you develop the important transferable skills BIAZA says you should acquire. And don't forget, it has been developed over many years by industry relevant professionals, so what you learn will be what you need to learn. I hope that this answers your question Alice. Hi, I am considering the possibility of pursuing the zoo keeper career path and have been looking at working at a local zoo. Although, to be a zoo keeper there you need a minimum of higher education qualification or degree level in zoo animal management/ zoological related science. In your experience, would this diploma count? Thank you for your question. Hopefully you were able to read the preamble to the course, which has been carefully researched to highlight the attributes that zoos and safari parks look for in an employee and how this Diploma will help you to acquire them. There is no magic bullet to getting into zoo keeping, but there are things you can do to maximise your chances. This diploma is part of a process of helping you to stand out from other interviewees at an interview. Unlike many other applicants, you will have a dedicated zoo keeping diploma, forming part of your attraction to a potential employer. You may consider taking at least one specialised module from the program, e.g. Primatology, Herpetology, Canivore Zoology. This means that in addition to general zoo keeping expertise, you will also be able to offer a zoo or safari park that little bit extra. Employers like to see a wide range of experience, knowledge and transferable skills when looking for a new person to join their team, so the more you can show them that you have these, the better your chances of being offered a position. 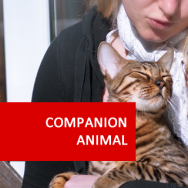 With this point in mind, you will also need hands-on experience of working with animals on a voluntary basis, be able to demonstrate an understanding of what commitment is required, plus convince the interviewer that you have the right personal qualities to become a zoo keeper. I hope that this answers your questions Conor. Hello, What qualifications will I get after this course and what career can I start once i've completed it? Thank you for getting in touch. 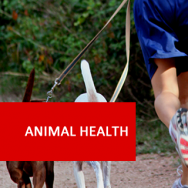 This course will give you a Diploma in Zoo Keeping, endorsed and issued by a recognised organisation.It is designed for those who either work in, or wish to work in the captive animal field, including Zoos, Safari Parks and circuses. ( Charlotte, 20/05/2014 ) Q: I was wondering if there are any exams for this course and if so, is it possible to do a project instead of the exam ? or do you have to do an exam to complete the course? ( 20/05/2014 ) A: Hello Charlotte, There are some exams for this course. You are able to choose a project instead if the idea of an exam intimidates you, though sitting an exam is entirely possible as a distance learning student. ( 22/01/2014 ) A: Hello Candice, The course is accredited by the IARC and we are affiliated with ACS, a distance learning school that has been providing distance learning for nearly 40 years. We are an independent course provider and offer knowledge based courses to our students. Our courses have been used to gain entry into higher education in the past, but you must check with the institution you are interested in before embarking on this. Diploma in Zoo Keeping course online. 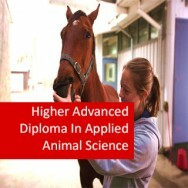 Study the Diploma in Zoo Keeping by distance learning. 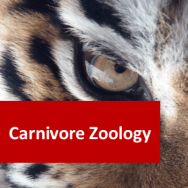 This home study course will provide you with flexible learning experiences that will help start you on your way to a career in zoos and safari parks. Although apprenticeships may be available, where you start off at the bottom and work your way up, zoos will often ask that you have hands on experience in working with animals, possibly as a volunteer in a safari park, zoo or animal shelter. 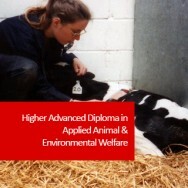 They may also require you to have A levels or their equivalent in animal care and/or animal science disciplines. Zoo keeper salaries range from around £12,000 to £25,000 a year, for a 37 - 40 hour week, spread over 7 days and probably spanning 365 days of the year. Currently we have the Primate Naturalist: Karin Saks, studying our Primatology course, one of the elective modules in the Diploma. Karin has been fostering and rehabilitating orphan baboons, caring for injured monkeys returned to the wild, plus promoting a harmonious co-existence between primates and humans since 1997. She also founded The Darwin Primate Group as a non-profit organisation in 2008 and in 2014, moved to Kwazulu Natal to research the endangered samango monkey populations in the Midlands. For information about what you need to get into a zoo-keeping career on BIAZA (British & Irish Association of Zoos & Aquariums) website, click here. Please click on links of elective modules below to view each of their leaning goals. 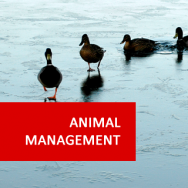 Note: each module in the Diploma in Zoo Keeping is a Certificate in its own right, and may be studied separately. 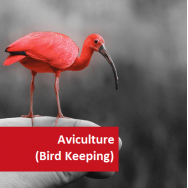 Gain all important hands-on experience with wildlife animals, to add to your CV whilst you are studying your Zoo Keeping Diploma with ADL, or after completing it. We are very happy to be associated with GVE, which offers an unforgettable volunteer experience in South Africa with their Game Capture and Vet Experience programs.